Order in multiples of 4 to avoid paying box splitting cost of £5. 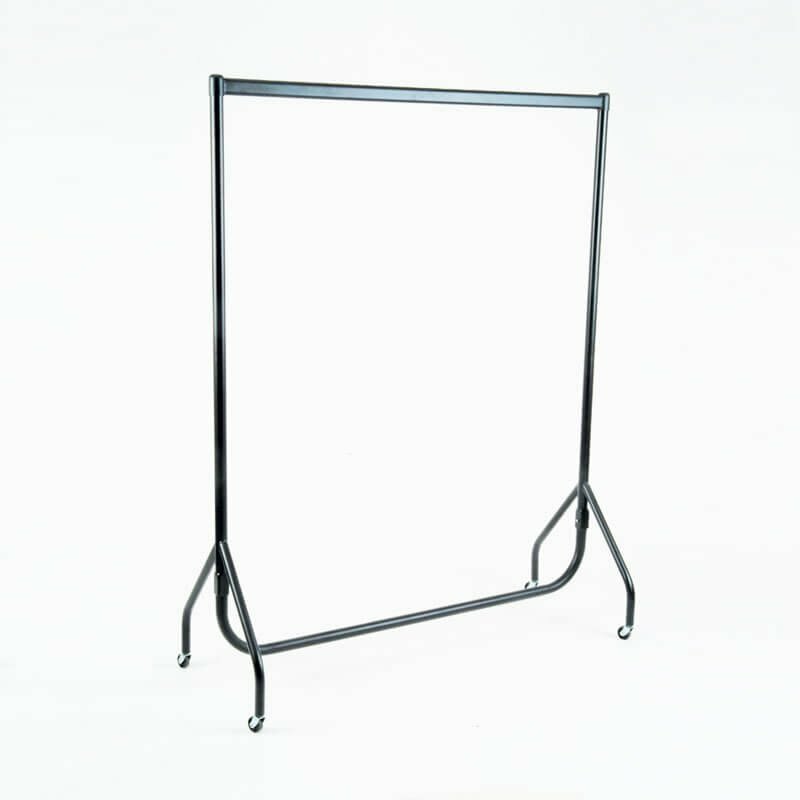 This Spacious heavy duty 6ft Black Garment Rail offers a heavy duty and attractive display that can be utilized both in the stock room and the retail shop floor. The all Black finish provides a display that doesn't distract from your clothing, whilst the extremely strong frame provides a rugged and stable storage solution for your stock room. The clothes rail comes flat packed in seven pieces that are simply slotted together. Included with the Mobile Clothes Rail are 4 x 2” diameter Castor wheels which allow this clothes rail to be fully mobile and easily moved around your store.